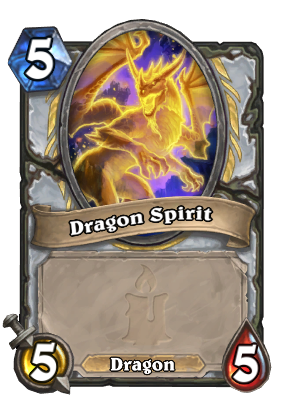 This card is again interesting, especially if they bring back more dragons making this work playing. IE: A card that buffs all dragons on board. The main downside is that you waste 3 mana and sometimes you might play an extra spell just to get the dragon which could result in using cards when you could have saved them for later. Early game though if you turn 3 play this and turn 4 play 2 radiants and clear the board with SW: Pain and some other spell leading into a turn 5 Lyra with the elemental on board is quite powerful. we still don't know the whole set yet. I have a feeling there will be more spell support with priest to make this playable, something like Razorpetal Volley with the obvious Radiant Elemental and Lyra the Sunshard synergy. 2. Turn 4 2 Radiant Elementals and Shadow Visions until your board is full of 5/5 Dragons. 3. "You have bested me..."
Idky they didn't make it trigger off some kind of dragon sinergy thing rather than spells. Lyra-INnfer Fire- Dragon Priest was a thing this expansion so this would probably just be run alongside it. 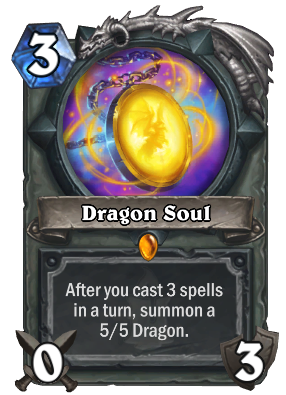 However, I don't really see a point of the summons being dragons, since most dragon synergy effects are based on them being in hand. Two legendary combo is hard to pull off. Different from Raza DK, because both Lyra and weapon needs to be on the board.